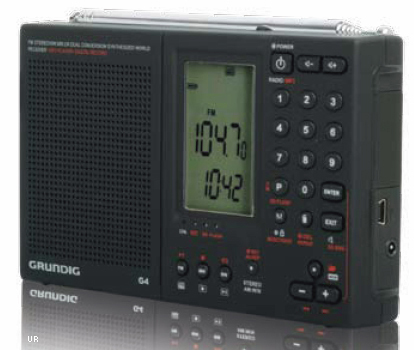 The Grundig G4 keeps the comforts of home with you, even when you’re far away. The unit plays and records MP3 music on up to a 2GB SD card that plugs into its socket. You can record directly "off the air" or from an external sound source via the microphone. 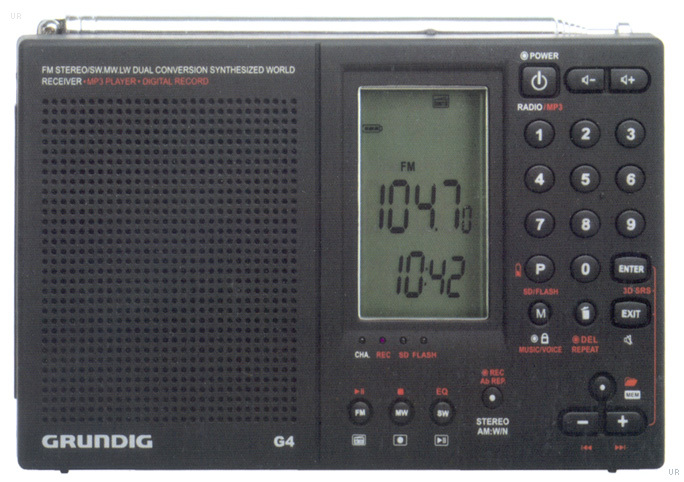 This longwave (150-540 kHz), AM/FM radio also offers shortwave coverage from 3000-29999 kHz, so you can access news, weather and entertainment from wherever you may be. 1000 memories store your favorite frequencies. Set the alarm to your favorite station, and wake up with a song in your heart. 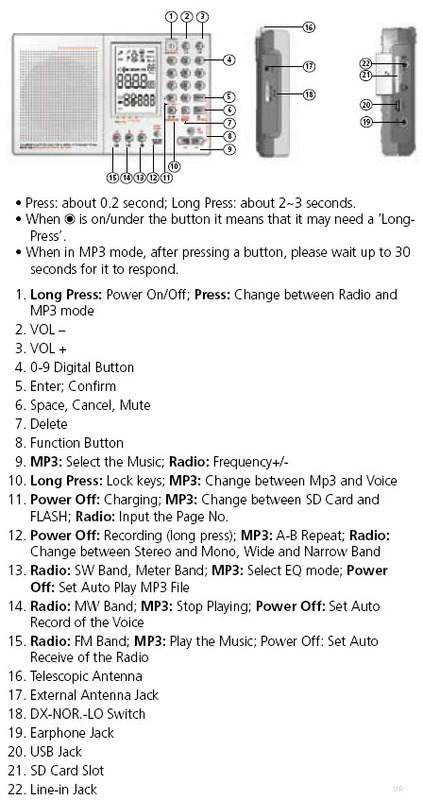 Supports MP3/WMA decoder/MPEG 1/2/2.5. This radio comes with an AC adapter and requires three AA batteries (not included). 5.625 x 3.5 x 1.14 inches. Copyright 2008-2016, Universal Radio, Inc.